In a series of tweets, Kardashian went from calling out Woods as a homewrecker to absolving her of that. But she didn’t forgive Woods everything. “What’s been harder & more painful is being hurt by someone so close to me. Someone whom I love & treat like a little sister. But Jordyn is not to be blamed for the breakup of my family. This was Tristan’s fault,” Kardashian posted Saturday on Twitter. Cleveland Cavalier player Thompson is the father of Kardashian’s baby, True. Thompson’s agent Rich Paul declined to comment. Woods’ interview Friday on Jada Pinkett Smith’s Facebook Watch show, “Red Table Talk,” prompted Kardashian’s two-day tweet barrage. On Pinkett Smith’s show, Woods sought to counter social media speculation over what happened with Thompson when she and a group of girlfriends went to a party at the basketball player’s Los Angeles home after a night out. She stayed at Thompson’s house until the following morning and, as she left, he took her by surprise with a kiss on the lips, Woods told Pinkett Smith, the actress and a close friend who had counseled her to speak out. “I didn’t know how to feel. I was like, ‘That didn’t just happen,'” Woods said, adding that nothing else happened with Thompson. Woods also said she’s confident she isn’t the reason Kardashian and Thompson aren’t together. 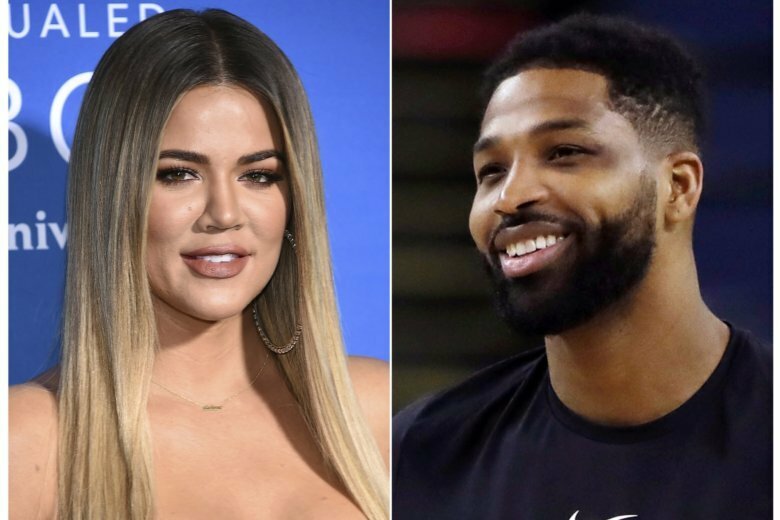 Kardashian, who is not married to Thompson and maintained a relationship after he cheated on her late in her pregnancy, shot back at Woods on Twitter after the interview. “If you’re going to try and save yourself by going public, INSTEAD OF CALLING ME PRIVATELY TO APOLOGIZE FIRST, at least be HONEST about your story. BTW, You ARE the reason my family broke up!” Kardashian tweeted Friday. Woods was the best friend of Kardashian sister Kylie Jenner, a beauty mogul and the youngest sibling on reality TV’s “Keeping up with the Kardashians.” Woods, who moved out of Jenner’s Los Angeles area guest house after the rumors flared, told Pinkett Smith she’s been unfairly vilified.